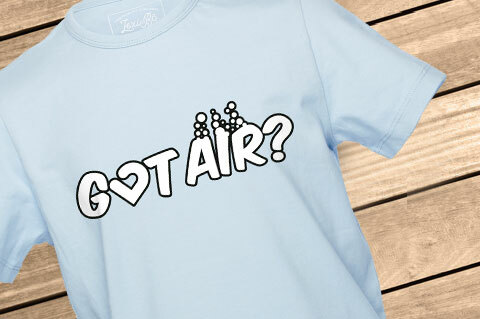 Details "Got Air? Boys T-Shirt"
A must have for all little divers and those who want to become one. Our Lexi&Bö Got air? t-shirt for boys has two designs included. The front print Got air? 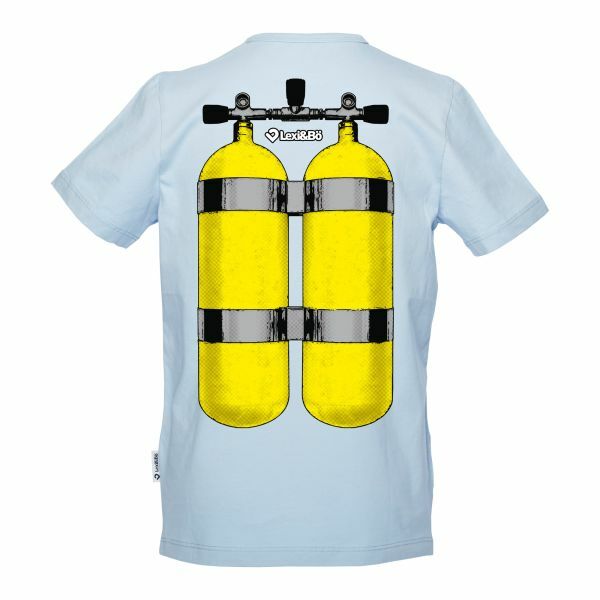 together with the Lexi&Bö logo is beated by the large yellow oxygen tanks on the back of the shirt. This kids shirt is absolutely unique and it brings fun. It consists of 100% organic cotton and as well as a water based and environmentally friendly printing ink the shirt contains no chemicals. That keeps away nasty allergies and lets the skin breathe. The light and loose cut gives your child full freedom of movement. 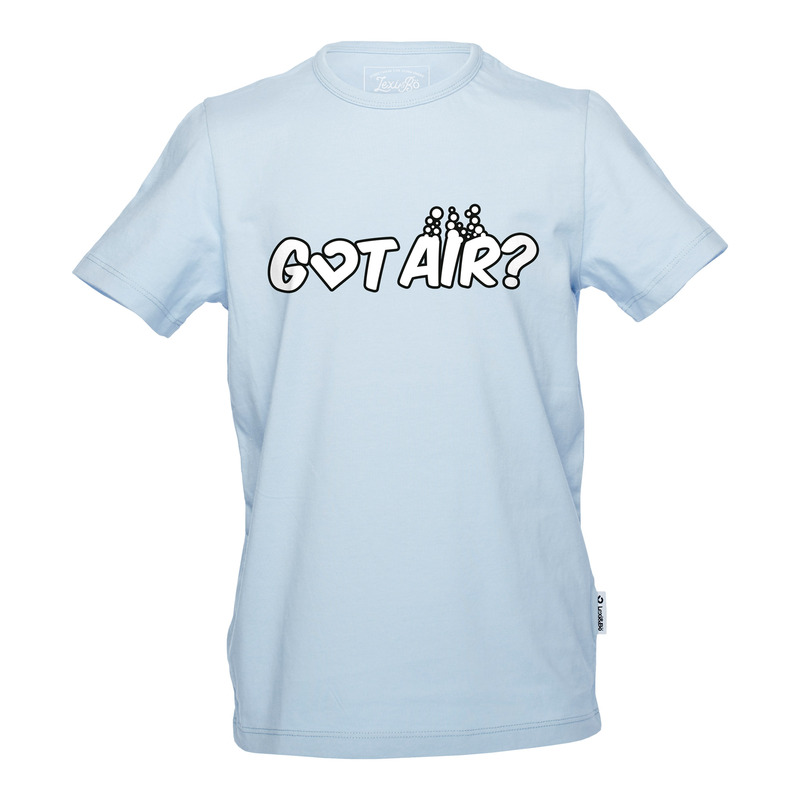 Customer evaluation for "Got Air? Boys T-Shirt"